After we've been through the location checks and we've established which type of cat may be for you, you'll be invited to have a look through our homing blocks at the cats ready to go home. At this stage, if not already, we will go over the cat's medical history for you to make sure you're happy with everything before making a commitment. Once you've found the one for you, we'll need to take a few details from you to start the adoption process. Staff will spend a little bit of time answering any questions you may have and explaining to you what to expect from the coming weeks. We pride ourselves on the information we share and hopefully armed with new knowledge, you'll fly thorough the settling in process in no time! We taylor our information to every cat and will provide additional leaflets or handouts accordingly. That way you have something to refer to should you need it. Taking Home Your New Companion! As early as 24 hours later (dependant on health status) you could be taking your very own little one home! At the end of your reservation you'll be asked if you can arrange an appointment to come and pick up your new cat. This is to be within 7 days of the reservation. 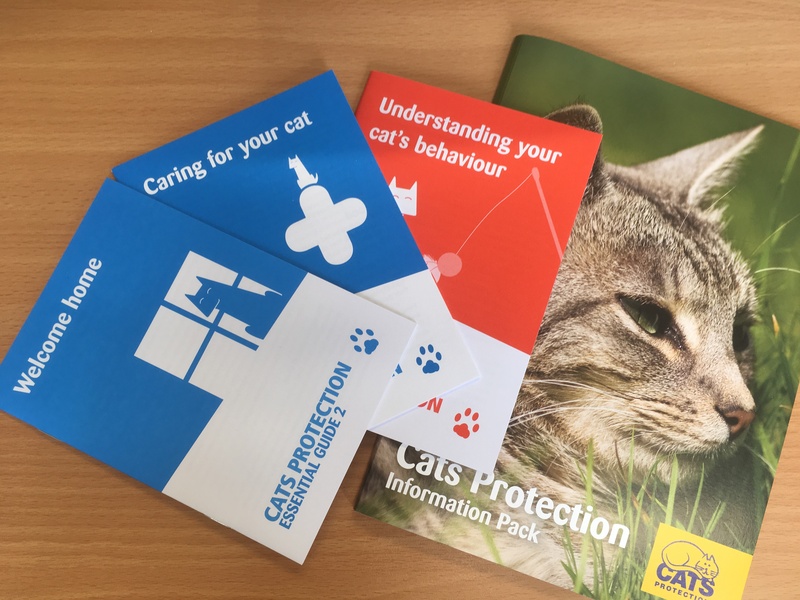 When returning to the centre to collect your cat, we will go through the necessary adoption paperwork, which will contain everything you need to know. It is also an opportunity to answer any further questions you may have. All cats must travel in suitably sized, secure carrier on the way home. This is for the safety of the cat and also of the passengers in the vehicle.